Would you like to study in a development class, but can’t find one nearby? Do you receive psychic information randomly? Wish you could connect with your abilities whenever you want to? Why not join my monthly online class. You can work on your psychic abilities, mediumship, or intuitive healing. Study on your own, when you have time, under a structured class. We started the class earlier this year. And I had to change the way we got together (Skype was too wonky, conference calling had some quirks too). So I am now presenting the class in an entirely different way. You will be joining other members that are already in the class. I am opening it up to new participants. But I can only handle so many people. There is a limit to how many I can have to properly work the Facebook discussions (more on that below). At the beginning of each month, I send out via email a Video Packet. 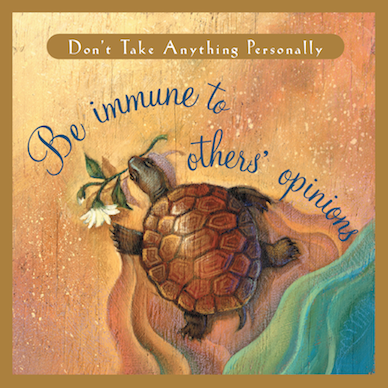 This packet includes a video lesson and a guided meditation audio. Then you watch the video and use the meditation when it is convenient for you. Then the last Thursday of the month, all participants gather in a Face Book Interactive Discussion. You can ask questions (pretty much pick my brain), share your experiences, and discuss with other people in the class. Next Class starts in September! Here is a fun way to practice seeing auras. If you work together with your Spirit Guides using imagination and pretending, then you can develop this ability. Suzanne Newnham’s experience as a medium and healing therapist has done her well. It has given her knowledge and understanding in the hidden and intricate nuances of working with energy and the world of Spirit. As I review this volume, I sense her love of humankind and sincere wish to impart positive and uplifting data to those who are interested in psychic and medium information. There are folks who are just embarking in the spiritual and energetic work as well as those who have been steeped in the work for many years. Each category will gain unbounded assistance in recognizing the proper way to work in the public forum. 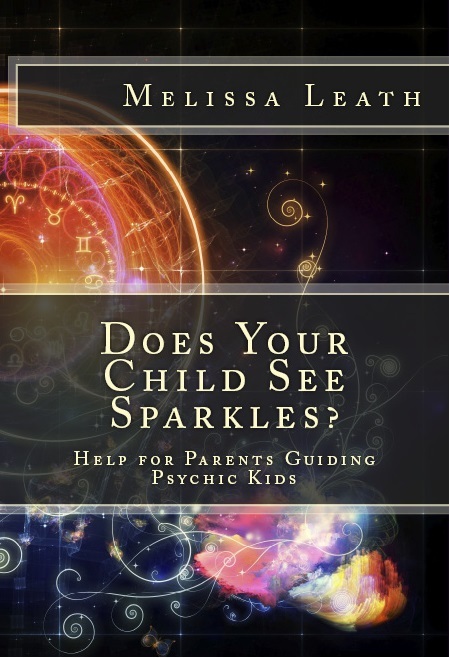 Also advanced in this book is the general public wishing to receive genuine psychic/medium readings, but not knowing the proper things to look for or pursue. One area that Suzanne expands is to understand that a psychic and medium reader has a very strong responsibility when working with someone else’s energy. This covers the idea of ethics and how a reader engages with their client and how they receive psychic and spirit information. Newnham does not spend time teaching the development of the gifts, but helping us understand what a reputable reading looks like, the different levels involved, and the dynamics of a reader. She shares the differences between the terms intuitive, psychic, and medium, and all the finer levels dealing with each. 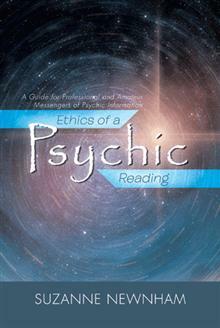 In her book, Ethics of a Psychic Reading, you can find out about: haunted houses, channeling, phone readings, psychic fairs, finding evidence of a loved one in spirit, ethical behavior in psychic readings, how to act as a client, and how a reader should act, cold readings and “fishing” for information, and why you might want a reading from a psychic or medium. All in all, Suzanne Newnham has addressed anything and everything you could possibly want to know (and then some) about giving or receiving a reading. I whole heartedly recommend this guide as a way to decide what you want and then how to go about getting it when it comes to psychic readings. 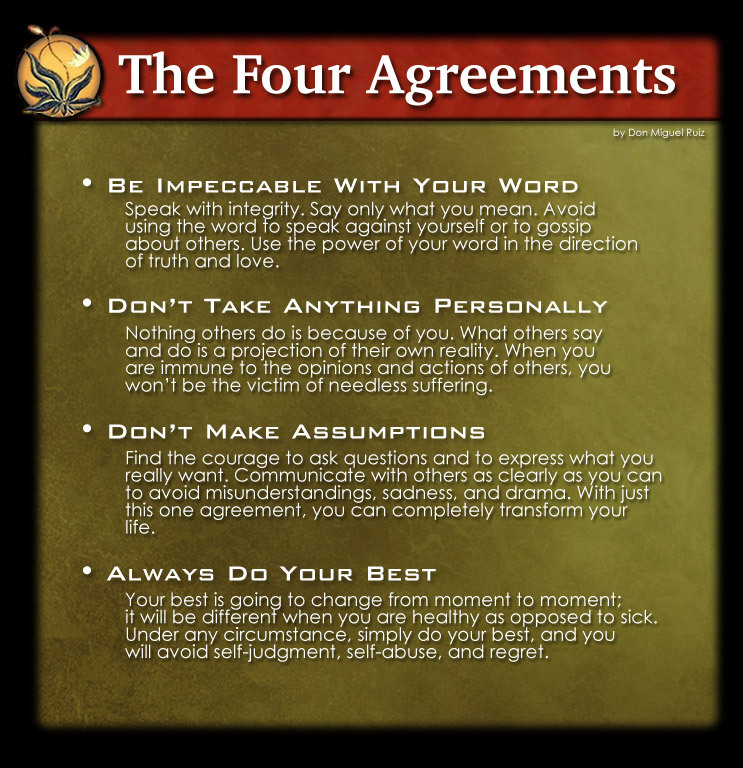 Very well written and easy to understand, Newnham lovingly escorts you through the appreciation of receiving genuine information from sources beyond our understanding to benefit you in your life. I am very pleased and honored to be associated with Suzanne Newnham as a fellow author and psychic medium. Who are you? Are you able to access other realms? Other life times? Other parallel universes? Spirit Guides? Angels? You are an astral being: A Spirit (that is) being Human in the physical realm. In this form you can astral travel to other worlds, sleep, dream, and ultimately transition out of this world. You can perceive astral and physical awareness with your five senses. You see, hear, touch, taste, and smell with senses that bring information about the world you live in to the mind. You rely on these senses for all of your information about the physical world. But if an angel stood right next to you, you probably would never know it. Your five physical senses don’t tell you about other planes of existence, such as the Etheric Plane (this is where your Spirit Guides and Angels reside.) As a matter of fact, your senses can trick your ego into believing that anything higher than the dream/physical matrix of worlds has no existence at all. Nothing could be further from the truth. There are at least seven dimensions of reality that make up our universe. These dimensions are all around you, but your senses are not able to pick up the information streaming into your brains from these worlds. In order for other realities to exist, your consciousness must continually tune into and create every bit of every scene that you experience. Nothing exists until consciousness decides that it does. So, if consciousness creates your reality, why would it limit you to only astral and physical senses? This quote was taken from the newest addition to my Kindle E-Book selections, Doorway to Your Spirit Guides. If you are serious about developing your psychic and medium abilities, then the first thing you should do is create a special rapport with your Spirit Guides. 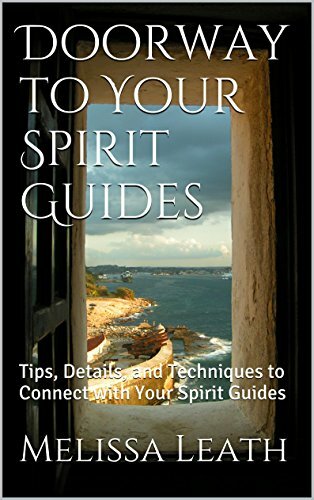 By purchasing this ebook, you receive a special BONUS: Guided Meditation Audio to help you connect with your guides. If you are connected with “kindleunlimited” then this selection is FREE. Courage comes from doing the thing that is right, no matter what is going on or what someone else wants you to do. You do it from your true, authentic self without thought. It is important to be separated from what others think of you. What some one thinks of you is just their opinion, and has nothing to do with who you are! No one can make you into what you are not, just because that is what they think you are. No one else is responsible for your actions and thoughts except you. All you can control is yourself and how you act on a day to day basis. We all have egos and it is good for many things. But your ego is often at odds with universal laws and principles. Take the time to identify when you are acting from ego (“I need to be important”) and when you are acting from your authentic self (“I need to be me.”). Your ego wants you to feel special, better, and different than others. But the truth is that you share more in common with others than differences. You can only offer to another person the part of you that is true. There was a young boy many years ago that lived in a small town. He was fortunate to have a newspaper delivery job. While collecting from the customers in his neighborhood, he stopped by the home of one of the women who lived nearby his house. The woman who lived there came to the door in tears. She spoke rather disjointedly, but the boy was able to make out that she had just learned of the sudden death of one of her grown children. Since he was only about twelve or so, the boy had no idea what to say or do. But when he returned home, he found his mother who was busily working in the kitchen and told her what had happened. As soon as she heard the news, his mother immediately quit what she was doing, threw on her coat, and hurried over to the neighbor to provide company and solace. She didn’t think about it; she didn’t say, “Gosh, I should go comfort her, but what would I say?” she just went. The boy, who had felt so incapable of action, was most impressed by this example of human compassion and selflessness. He saw his mother responding as her authentic self, and he learned much that day. Could it be that we are always struggling to know the authentic self? Many of us only need to recognize the strength and courage we have always had, but were afraid to see. As we are trying to understand ourselves, we struggle with our fears, and failures – our weaknesses. Through some kind of events (such as the newspaper boy had), these weaknesses can have the chance to turn around. After looking at yourself and understanding the reason you are doing something, or having a comparison of another’s actions, we look long and hard at ourselves. This gives us a chance to change. A transformation occurs. A weakness is merely an asset used in a fearful way. We have constant opportunities to make magic in our lives because the universe is constantly giving us new dilemmas to work with. Young boy, named Jay, loved to be in the Special Olympics every year. He planned for it and talked about it all year long. He wanted the gold medal. His family was always there to support him. But this particular time his mother got sick and had to stay at home. His father went with him and she waited to hear the story when he got back. They finally came home. Jay had a silver medal around his neck. Mother was worried that he was disappointed that he had not won the gold medal. But he had a beaming smile. Jay told the story: When the shot rang out to start, he hesitated and was fearful since his mother was not there. And all the other runners moved ahead of him. But he was so excited just to be in the race, he forged ahead and eventually was the lead runner. As he got to the finish line, he heard all the cheers of his friends, neighbors and family for him to cross the finish line. He just stood there. He stood there and enjoyed the moment of completion. Crossing the line did not make him a winner. He was already a winner by running the race; by doing something that many people didn’t think he was capable of doing; by forging ahead and following his heart. Maria Shriver has been first lady of California, Kennedy family member, TV journalist, and bestselling author. She has had her share of fame, and then some. But when she heard that the main goal of today’s kids’ is to ‘be famous’, she had to speak up. The speech below, delivered at her nephew’s high school graduation is included in her new book, Just Who Will You Be? “Famous people always seem to look happy. They always look rich. The always look thin. If they’re fat, they’ll be thin next week. But for whatever it’s worth [and since I’m kind of famous, it might be worth something], fame isn’t a worthy goal. Fame can’t make you happy, in and of itself. It can’t make you feel worthy. It can’t give you life of meaning and joy. That, I’ve learned, is strictly an inside job. The only way you can come to feel good about yourself and to find a life of meaning and joy is to find your own path. Live your own life, not an imitation of someone else’s. “We live in a world that seems to put a premium on the trappings of fame. But figuring out who you are and fulfilling your own dreams —that’s a worthy goal. The people I’ve met who are happiest in their lives, famous or not, have done just that. Be courageous. Follow the spiritual path of who you truly are: Your Authentic Self.